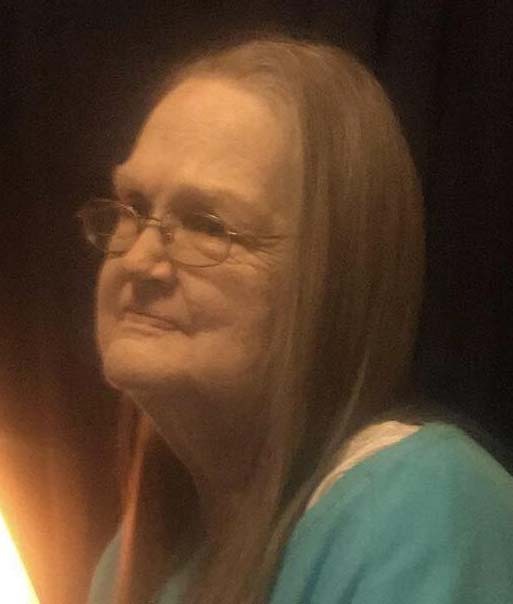 Judi, age 68, passed away peacefully early Sunday morning at McKay-Dee Hospital while surrounded by her family. She was born February 19, 1950, in Provo, Utah, to Samuel and Marie Christensen. She grew up in Clearfield, Utah, and attended the local schools. She also received higher education at the DATC in Kaysville, Utah. Judi married James Seagrist in 1967; they were later divorced. She married Jimmie Dellis March 1972; they were later divorced. Her working career included EMT work, school bus drive, and data entry clerk. She loved to go camping, attend Sawyer Brown and Trace Adkins concerts, coloring, and finding random 801ROCKS rocks. She was a member of the Church of Jesus Christ of Latter-day Saints. She loved her Savior, Jesus Christ. She was also a member of the Daughters of Utah Pioneers. Judi is survived by her daughter, Michelle Dellis; daughter, Denise Dellis; son, James Michael Dellis (Corrine-wife); sister, Pamela Christensen; sister, Joyce Van Hoosier (Kelly-husband); brother, Mark Christensen (Gwen-wife); grandsons, Scott Saracino Jr., Brayden Schoolcraft (Kenzie-wife), Skyler Atwood, and Damon Dellis; granddaughters, CheyAnne Millican and Mariah Dellis; and great-granddaughter, Brayzlee Schoolcraft. Funeral services will be held Friday, September 14, 2018 at 2 p.m. at the Clearfield 10th Ward, 231 East 300 North, Clearfield, Utah. Friends may visit family Thursday from 6 to 8 p.m. at Lindquist’s Layton Mortuary, 1867 No. Fairfield Road and Friday from 12:30 to 1:30 p.m. at the church. Interment, Clearfield City Cemetery. The family of Judi wishes to extend our sincere thanks to Dr. Matthew Spencer, the McKay-Dee 3rd floor nursing staff, and caregivers for taking incredible care of Mom during her final days. Thank you Aunt Pam, Denise, and CheyAnne for being her extra special constant caring companions during this difficult time. Thank you to the Moran Eye Center for the opportunity to let Mom’s beautiful eyes aid in macular degeneration research. In lieu of an abundance of flowers, the family would appreciate assistance with funeral/burial expenses. You can help by either donating through gofundme.com/rscjn-funeral-expenses-for-mom or giving directly to one of her children. Thank you. Love you, Mom. Until we meet again.